Course Objective: To provide a basic framework and understanding of TIF based upon the latest statutory changes and industry practices. After completing this course, participants should be able to understand what TIF is, how it can benefit their communities, and how they can start using TIF in their communities. Description: This session will provide a brief historical backdrop explaining the origin and purpose of TIF and will proceed to outline the basic mechanics of how the program works vis a vis the tax collection and distribution process, what can and cannot be funded and how the program has been successfully applied in Wisconsin. There will be a discussion about proper TID program management and options for structuring TIF plans and agreements to effectively minimize risk to the local municipality. The presentation will entail a front half which will cover historic context, statutory authority, mechanics of the program and back half which will cover the details of what can be financed, how it is financed and mathematical samples of TIF projections and analysis. CARW, APA-WI, LWM and WCA members, your promo code is needed at time of purchase to receive your $10.00 discount. Contact weda@weda.org with questions. 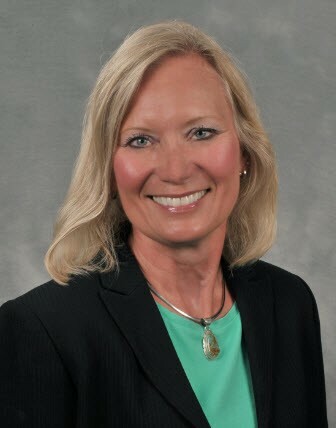 Dawn joined Ehlers in 2004, serving as a Senior Municipal Advisor to Wisconsin cities, villages, towns and counties. She brings 25 years of local government finance experience to Ehlers’ clients from her employment in City, County and State government. Dawn’s areas of expertise are debt planning and issuance, the development of long range operating and capital plans, tax increment financing, community development authorities and public utilities. Her strong background in local government finance brings to Ehlers an understanding from our client’s perspective. As a long-time active member of the Government Finance Officers Association, Dawn was one of the first in the country to receive the designation of Certified Public Finance Officer by the International Government Finance Officers Association. Her firsthand experience in the unique and complex financial issues facing municipal government today was gained through her experience in local government. Dawn has attained the designation of Certified Independent Public Municipal Advisor (CIPMA) by the National Association of Municipal Advisors (NAMA). 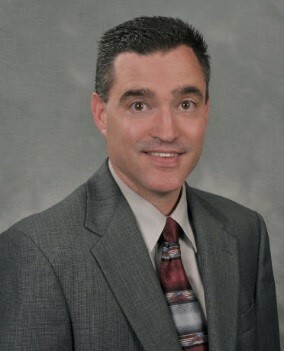 Greg Johnson is a Senior Municipal Advisor/Vice President at Ehlers. Greg joined Ehlers in October 2005. Previously, Greg worked for municipalities in Wisconsin, Illinois, and Kansas. Greg served as Administrator in Rib Mountain, WI and De Soto, KS. Greg has extensive experience in operational and capital budgeting, budget restructuring, capital improvement financing, financial management plans, developer agreement negotiation, and tax incremental financing. Greg received his Bachelor of Science in Public Administration and Political Science from UW – Stevens Point, and his Masters in Public Administration from the University of Kansas. Greg is a Certified Independent Public Municipal Advisor (CIPMA) by the National Association of Municipal Advisors (NAMA).